Carta Mundi was founded in Turnhout on 27 June 1970 by pooling the production and sales facilities of the three surviving companies: Fabrique Brepols, Van Genechten and Léonard Biermans. It printed its first playing cards on August 2nd 1971. Thus early Carta Mundi packs have features inherited from each of the earlier companies, such as the Mesmaekers Joker and court cards, indices, etc. Early examples of the standard English pattern Queen of Hearts use a colour scheme of red, black, blue, yellow and green. In many cases the green is replaced by the blue used elsewhere in the cards and at the same time the index font becomes bolder and the suit indicator becomes less curvaceous. The main picture, however, remains constant. Mesmaekers was taken over by Van Genechten in 1968. The “Little Joker” was subsequently adopted by Carta Mundi as their standard joker when Van Genechten, Brepols and Léonard Biermans were in turn merged to become Carta Mundi in 1970. Above: 1. Mesmaekers b/w “The Little Joker” 1920s. 2. Mesmaekers coloured “The Little Joker” c.1960. 3. Van Genechten no legend in banderole c.1969. 4. Carta Mundi “The Joker” c.1971-74. 5. Carta Mundi “Joker” 1975-77. 6. Carta Mundi 1980s. Above: Van Genechten’s standard English style courts, 1960s. Above: standard English pattern manufactured by Biermans, 1960s, clearly a forerunner of Carta Mundi’s designs. Above: early Carta Mundi pack, virtually identical to above example, with Carta Mundi logo and company name on the box flap (click image to zoom). The two identical jokers have no legends on the banderole and no corner pips, c.1971-2. Above: early Carta Mundi pack, with Carta Mundi company name on the box flap, early 1970s. Above: probably a very early Carta Mundi deck, as it includes characteristics of Carta Mundi, Biermans and Van Genechten - the jokers are custom, the ace of spades is a redrawing of Biermans ‘Punch & World’ design with Van Genechten indices; the court cards are of the same design found in early Carta Mundi decks, that is pre-1975. Above: a rather unusual early Carta Mundi deck produced to advertise ‘Complan’. The ace of spades and courts are the curvaceous style used by Van Genechten and adopted by Carta Mundi in the early days of its formation, but less commonly this deck includes a different Van Genechten joker. It is estimated that this deck originates from about 1970-1974. Carta Mundi have such consistent print runs that no variations can be detected. However, the following observations may help to assign approximate dates to some earlier decks. Above: Castrol 75th Anniversary advertising deck from 1974. The Joker is named with the legend 'The Joker’ but has no corner pips. Above: Players No 6 advertising deck from the mid-1970s. The Joker is now named with the legend 'Joker’ and has four corner pips. Above: Queen's Silver Jubilee 1977. 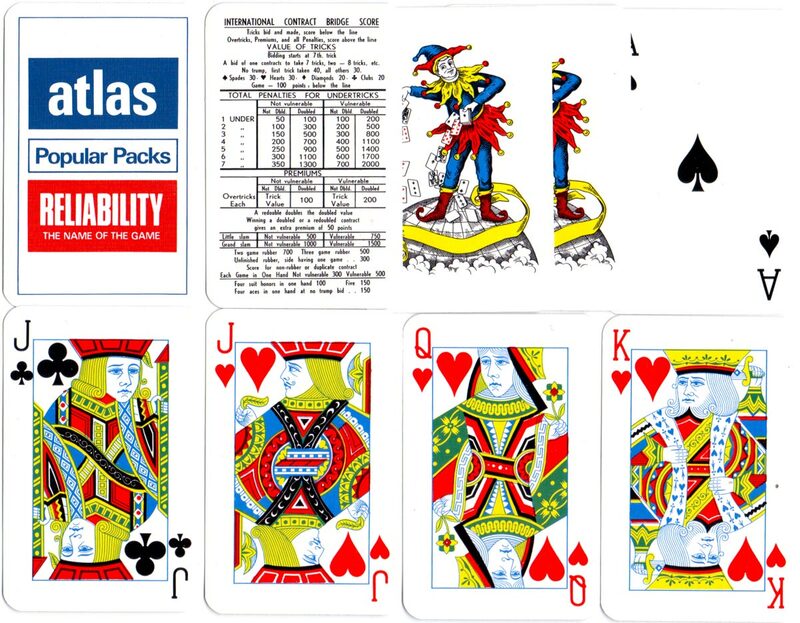 Three almost identical packs from around the same date, in separate boxes, but with three styles of Ace of Spades and also two styles of joker indices and queen of hearts (click image to zoom). 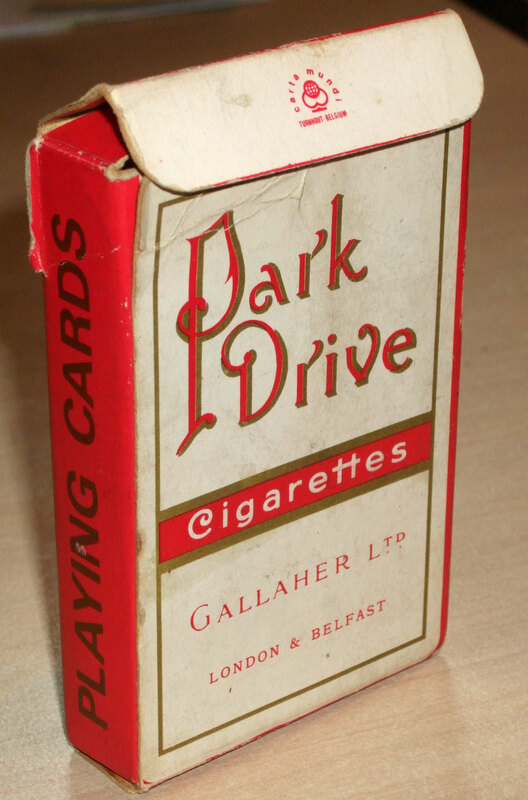 Above: advertising pack for McVitie's Jamaica Ginger Cake, anonymous except for 'Playing Card Publicity Co' printed on the inside of the top flap of the box. The bridge score card enclosed in the pack is quite anonymous, but of an early Carta Mundi style. In around 1977 the the index font becomes bolder and the hearts & spades suit symbols become less curvaceous. 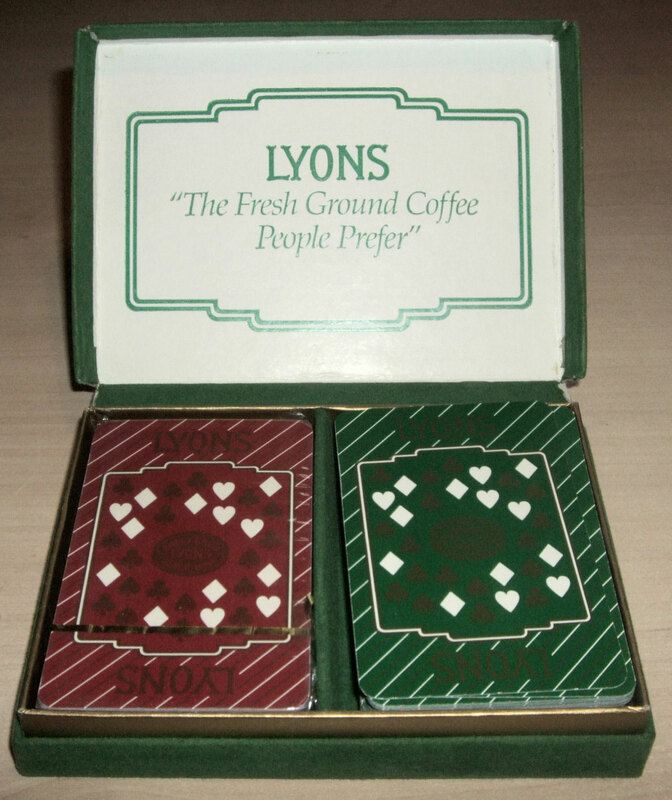 Around this time packs were produced with three jokers, the third one showing a jester standing on top of the world, holding a king of hearts. Also, there appears to be a small change in some of the pip colours of the tiny cards falling from the joker's hand. Above: this style of ace of spades, index typeface and extra third joker were in use from c.1980. The legends ‘Made in Belgium’ and ‘Carta Mundi’ on the ace and third joker vary in different examples, and in some cases are omitted altogether. Above: packs made for P&O Ferries, c.1995 - 2000. The legend ‘Made in Belgium’ on the ace and third joker changes to ‘Carta Mundi’ and the extra joker's shirt has changed to blue. Above: pack made by Carta Mundi for Guinness using the former Biermans joker and different courts, c.2002. Above: packs made by Carta Mundi using a former Brepols joker. Above: pack made by Carta Mundi for MMCardz™ with a different image on the back of each card, c.2003. The joker has stars in the corners. Large index cards are also found with two indices and flesh coloured faces (as distinct to the white of other designs), but otherwise using the same picture as the standard bridge-size cards. Carta Mundi produce their 'casino' style in two widths, bridge and poker. Thanks to Matt Probert for assiduous research and all the images shown on the page.